A membership at ProShots gives you and your family every opportunity to enjoy responsible firearm ownership in Winston-Salem. ProShots is an eight-lane indoor shooting range, training facility, and full-service retail store in Winston-Salem, North Carolina. We offer a variety of classes and training opportunities in our comfortable classroom, including our widely acclaimed North Carolina Concealed Carry Class. ProShots encourages but does not require membership to enjoy our facility. We are proud to offer great customer service, employ knowledgeable staff, and offer fair prices at our world-class range. 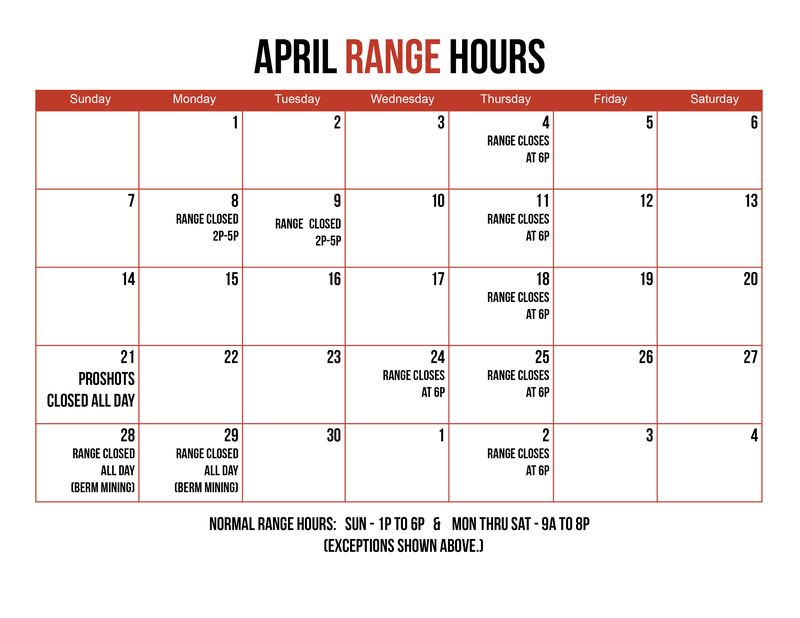 Range– Our 8-lane indoor gun range is a clean, safe environment to shoot, rain or shine! We have a great membership program, but do not require membership to enjoy our facility. Our range welcomes not only pistols, but shotguns and rifles as well, and we also offer a wide selection of rental guns. Training– We offer a range of classes, including the North Carolina Concealed Carry class. We also offer custom and off-site training options. One-on-One Training is probably our favorite way to teach firearms. It is one of the best ways to learn, too. Try a lesson and see for yourself! Gunsmiths– We have two on-site gunsmiths, both with degrees in the field, armorer certifications, and a wealth of experience. Not only do we offer a wide range of gunsmithing services, but we also encourage customers to take advantage of our gunsmiths’ knowledge as “tech support” and consultation. Don’t let the beards fool you; they are kinda nice most of the time! As a licensed Class 3 dealer, ProShots carries a full line of suppressors. Stop in to try our suppressed Ruger MKIII rental. Everyone likes the feeling of belonging. Why not belong to the Club? At ProShots, we have a place where all calibers coexist. Please give us a call or stop by the range and pay us a visit! We are committed to helping our community responsibly enjoy firearms!